Are You Experienced and its preceding singles were recorded over a five-month period from late October 1966 through early April 1967. The album was completed in sixteen recording sessions at three London locations, including De Lane Lea Studios, CBS, and Olympic. Released in the UK on May 12, 1967, Are You Experienced spent 33 weeks on the charts, peaking at number two. The album was issued in the US on August 23 by Reprise Records, where it reached number five on the Billboard 200, remaining on the chart for 106 weeks, 27 of those in the Top 40. The US version contained some of Hendrix's best known songs, including the Experience's first three singles, which, though omitted from the British edition of the LP, were top ten hits in the UK: "Purple Haze", "Hey Joe", and "The Wind Cries Mary". In 2005, Rolling Stone ranked Are You Experienced fifteenth on its list of the 500 Greatest Albums of All Time. They placed four songs from the album on their list of the 500 Greatest Songs of All Time: "Purple Haze" (17), "Foxy Lady" (153), "Hey Joe" (201), and "The Wind Cries Mary" (379). That same year, the record was one of 50 recordings chosen by the Library of Congress in recognition of its cultural significance to be added to the National Recording Registry. Writer and archivist Rueben Jackson of the Smithsonian Institution wrote: "it's still a landmark recording because it is of the rock, R&B, blues ... musical tradition. It altered the syntax of the music ... in a way I compare to James Joyce's Ulysses." By May 1966, Jimi Hendrix was struggling to earn a living playing the R&B circuit as a back-up guitarist. During a performance at one of New York City's most popular nightspots, the Cheetah Club, he was noticed by Linda Keith, the girlfriend of Rolling Stones guitarist Keith Richards. Soon afterward, Hendrix relocated to the city's Greenwich Village and began a residency at the Cafe Wha? fronting his own band, Jimmy James and the Blue Flames. Keith recommended Hendrix to Stones manager Andrew Loog Oldham and producer Seymour Stein. They failed to see Hendrix's musical potential, and rejected him. She then referred him to Chas Chandler, who was leaving the Animals and interested in managing and producing artists. Chandler liked the Billy Roberts song "Hey Joe", and was convinced he could create a hit single with the right artist. Impressed with Hendrix's live version of the song with his band, he brought him to London on September 24, 1966, and signed him to a management and production contract with himself and ex-Animals manager Michael Jeffery. In an effort to free-up space for Hendrix's lead vocals, further reduction mixing was completed for "Are You Experienced?" during a session at Olympic on April 4, 1967. With the title track complete, the Experience shifted their focus to the January 11 rough demo of "Third Stone from the Sun". Chandler decided that they should discard the original De Lane Lea tape and record a new version of the song. During the session, Kramer prepared a reduction mix of "Highway Chile", which made two tracks available for Hendrix's lead guitar and vocal overdubs. Though stereo and mono mixes were completed for the song, Chandler preferred the mono version, which he paired with "The Wind Cries Mary" for release as the group's third UK single. A reduction mix was prepared for "Love or Confusion", and Hendrix took advantage of the newly vacant tracks by adding lead guitar and vocals. A final mix was completed before the end of the session. On April 5, Chandler participated in a mastering session at Rye Muse Studios for "Highway Chile" and "The Wind Cries Mary", during which preparations were made so that Track could begin manufacturing vinyls. On the 10th, he and the Experience returned to Olympic, spending the bulk of the session on editing dialogue segments for "Third Stone from the Sun", which were then slowed down and mixed into the song. Kramer concentrated his efforts on the song's complicated mix: "The song was like a watercolor painting ... each track was composed of four, fairly dense composite images." After the April 10, 1967, recording session, the Experience spent the next two weeks playing shows and attending promotional appearances in England, including a spot on the BBC television program Monday Monday and BBC2's Late Night Line-Up. Chandler, Hendrix, and Kramer completed the final mixing of Are You Experienced at Olympic by 3 a.m. on April 25. Chandler had agreed to audition the finished LP for Polydor's head of A&R, Horst Schmaltze, at 11 a.m., so after a couple hours of sleep he prepared a suitable vinyl demo and traveled to Polydor. Chandler recalled: "As Horst started to put the needle on the record, I broke out in a cold sweat, thinking ... when he hears this, he's going to order the men in white coats to take me away ... Horst played the first side through and didn't say a word. Then he turned the disk over and played the other side. I started thinking about how I was going to talk my way out of this. At the end of the second side, he just sat there. Finally, he said, 'This is brilliant. This is the greatest thing I've ever heard.'" Horst immediately became an ardent supporter of the album and the band, championing the marketing and distribution of their debut LP. The third Experience single, "The Wind Cries Mary" backed by "Highway Chile", was released in the UK on May 5, 1967, while "Purple Haze" occupied the number three spot in the charts. The management's decision to release the single while the previous one was still present in the UK charts was unorthodox, as was the choice of "The Wind Cries Mary", which differed greatly from "Purple Haze". Stamp recalled: "We did that on purpose ... We wanted musically to show who this person was." Egan wrote: "It alerted the public to the fact that the so-called Wild Man of Borneo was capable of songs of delicacy and sensitivity." "The Wind Cries Mary" reached number six in the UK in May. Joe Boyd, John Head, Gary Weis (Directors) (2005) . Jimi Hendrix (DVD). Warner Home Video. Roger Pomphrey (Director) (2005). Classic Albums – The Jimi Hendrix Experience – Electric Ladyland (DVD). Eagle Rock Entertainment. Bob Smeaton (Director) (2013). Jimi Hendrix: Hear My Train A Comin' (DVD, Blu-ray). Sony Legacy. Bob Smeaton (Director) (2012). West Coast Seattle Boy: Jimi Hendrix: Voodoo Child (DVD, Blu-ray). Sony Legacy. Barker, Steve (2012) . "Jimi Hendrix talks to Steve Barker". In Roby, Steven. Hendrix on Hendrix: Interviews and Encounters with Jimi Hendrix. Chicago Review Press. Brown, Tony (1992). Jimi Hendrix: A Visual Documentary -His Life, Loves and Music. Omnibus Press. Etchingham, Kathy (1999). Through Gypsy Eyes Hendrix. Firebird Distributing. Fairchild, Michael (April 1991). "The Experience of a Lifetime". Guitar: For the Practicing Musician 8 (6). GP staff (May 2012). "Hendrix at 70". Guitar Player 46 (5). Geldeart, Gary; Rodham, Rodham (2008). Jimi Hendrix from the Benjamin Franklin Studios. Jimpress. Guitar World (December 2011). "Jimi Hendrix's 100 Greatest Performances". Halfin, Ross; Tolinski, Brad (2004). Classic Hendrix. Genesis Publications. di Perna, Alan (2002) . Kitts, Jeff, ed. "Jimi Live!". Guitar Legends (57). Lawrence, Sharon (2005). Jimi Hendrix: The Intimate Story of a Betrayed Musical Legend. Harper. Marshall, Wolf (1995). Marshall, Wolf, ed. "Wild Thing". Wolf Marshall's Guitar One 2. Owen, Frank; Reynolds, Simon (April 1991). "Hendrix Lives! Why Jimi still matters". Spin 7 (1). Roby, Steven (2012). Hendrix on Hendrix: Interviews and Encounters with Jimi Hendrix. Chicago Review Press. Whitburn, Joel (1988). Joel Whitburn's Top R&B Singles, 1942–1988. Record Research, Inc.
Aledort, Andy (1996). Jimi Hendrix: A Step-by-Step Breakdown of his Guitar Styles and Techniques. Hal Leonard. Altham, Keith (1996) . "Hendrix is Out of This World". In Potash, Chris. The Jimi Hendrix Companion. Omnibus. Black, Johnny (1999). Jimi Hendrix: The Ultimate Experience. Thunder's Mouth Press. Christgau, Robert (1998). Grown Up All Wrong: 75 Great Rock and Pop Artists from Vaudeville to Techno. Cross, Charles R. (2005). Room Full of Mirrors: A Biography of Jimi Hendrix. Hyperion. Doggett, Peter (2004). Jimi Hendrix: The Complete Guide to his Music. Omnibus. Egan, Sean (2013). Jimi Hendrix and the making of Are You Experienced (updated and expanded ed.). Askill. George-Warren, Holly, ed. (2001). The Rolling Stone Encyclopedia of Rock & Roll (2005 revised and updated ed.). Fireside. Heatley, Michael (2009). Jimi Hendrix Gear: The Guitars, Amps & Effects that Revolutionized Rock 'n' Roll. Voyageur Press. Hendrix, Janie L.; McDermott, John (2007). Jimi Hendrix: An Illustrated Experience. Atria. Larkin, Colin (1998). Virgin All-time Top 1000 Albums. Virgin. Levy, Joe, ed. (2005). Rolling Stone's 500 Greatest Albums of All Time (First Paperback ed.). Wenner Books. McDermott, John (2009). Ultimate Hendrix: An Illustrated Encyclopedia of Live Concerts and Sessions. BackBeat Books. McDermott, John (1992). Lewisohn, Mark, ed. Hendrix: Setting the Record Straight. Grand Central. Moskowitz, David (2010). The Words and Music of Jimi Hendrix. Praeger. Murray, Charles Shaar (1989). Crosstown Traffic: Jimi Hendrix and the Rock 'n' Roll Revolution (First US ed.). St. Martin's Press. Newsweek (1996) . "The Voice of Experience". In Potash, Chris. The Jimi Hendrix Companion. Omnibus. Roberts, David, ed. (2005). British Hit Singles & Albums (18 ed.). Guinness World Records Limited. Roby, Steven (2002). Black Gold: The Lost Archives of Jimi Hendrix. Billboard Books. Roby, Steven; Schreiber, Brad (2010). Becoming Jimi Hendrix: From Southern Crossroads to Psychedelic London, the Untold Story of a Musical Genius. Da Capo. Shadwick, Keith (2003). Jimi Hendrix: Musician. Backbeat Books. Shapiro, Harry; Glebbeek, Caesar (1995) . Jimi Hendrix: Electric Gypsy (New and Improved ed.). St. Martin's Press. Stubbs, David (2003). Voodoo Child: Jimi Hendrix, the Stories Behind Every Song. Thunder's Mouth Press. Unterberger, Richie (2009). The Rough Guide to Jimi Hendrix. Rough Guides. Wenner, Jann (2010) . 500 Greatest Songs of All Time. Rolling Stone. Whitaker, Matthew C. (2011). Icons of Black America: Breaking Barriers and Crossing Boundaries 1. Greenwood. Whitehill, Dave (1989). Hendrix: Are You Experienced. Hal Leonard. ^ a b c "The Psychedelic Debut of Jimi Hendrix". ^ Roby 2002, p. 51. ^ McDermott 2009, pp. 17–18. ^ McDermott 2009, pp. 18–21. ^ McDermott 2009, pp. 20–22. ^ Shadwick 2003, p. 84. ^ a b Shadwick 2003, p. 83. ^ McDermott 2009, pp. 21–22; Shadwick 2003, pp. 83–85. ^ Egan 2013, p. 93: Decca rejected the Experience; McDermott 2009, pp. 20–22: signing with Track. ^ Roby 2002, p. 71. ^ Roby 2002, pp. 71–72. ^ a b McDermott 2009, pp. 22–23. ^ a b c d e McDermott 2009, p. 23. ^ Roby 2002, p. 72. ^ Egan 2013, pp. 67–71. ^ McDermott 2009, pp. 22–24. ^ Egan 2013, p. 73. ^ Egan 2013, pp. 73–74: Chandler encouraged Hendrix to write original material; McDermott 2009, pp. 22–24: "Stone Free" was Hendrix's first songwriting effort after the formation of the Experience. ^ Roby & Schreiber 2010, p. 210. ^ Egan 2013, p. 75. ^ Egan 2013, p. 90. ^ Egan 2013, pp. 90–91. ^ a b Egan 2013, p. 89. ^ Egan 2013, p. 91. ^ McDermott 2009, p. 26. ^ McDermott 2009, pp. 24–27. ^ McDermott 2009, pp. 24–26. ^ McDermott 2009, pp. 26–27. ^ a b Egan 2013, p. 104. ^ Egan 2013, pp. 104–105. ^ a b Egan 2013, pp. 105–106. ^ a b Egan 2013, p. 106. ^ Black 1999, p. 66. ^ a b Egan 2013, pp. 106–107. ^ a b c McDermott 2009, pp. 27–28. ^ a b Egan 2013, p. 109. ^ a b Egan 2013, p. 112. ^ Egan 2013, pp. 112–113. ^ a b McDermott 2009, p. 28. ^ Egan 2013, p. 115: Polydor issued the release with their label, McDermott 2009, p. 28: the single was issued by Tracks distributor, Polydor. ^ a b Roberts 2005, p. 232. ^ McDermott 2009, pp. 28–29. ^ McDermott 2009, pp. 28–33. ^ a b c d McDermott 2009, p. 32. ^ Heatley 2009, p. 88: first Hendrix recording with an Octavia; McDermott 2009, p. 28: Mayer introduced Hendrix to the Octavia in December 1966. ^ Roby & Schreiber 2010, p. 184. ^ Egan 2013, p. 126. ^ McDermott 2009, pp. 32–33. ^ a b c McDermott 2009, p. 33. ^ McDermott 2009, pp. 32–35. ^ a b c d McDermott 2009, p. 35. ^ Roby 2002, pp. 77–79. ^ McDermott 2009, pp. 35–36. ^ a b c d McDermott 2009, p. 36. ^ Egan 2013, pp. 136–137. ^ Egan 2013, p. 137. ^ McDermott 2009, pp. 36–38. ^ a b c McDermott 2009, p. 38. ^ a b Egan 2013, p. 144. ^ Egan 2013, pp. 146–147. ^ Egan 2013, p. 146. ^ a b c Egan 2013, p. 147. ^ Egan 2013, p. 150; McDermott 2009, p. 39. ^ Shadwick 2003, p. 103. ^ McDermott 2009, p. 39. ^ Egan 2013, p. 153. ^ McDermott 2009, pp. 39–40. ^ McDermott 2009, p. 40. ^ McDermott 2009, p. 40: "Purple Haze" was released on March 1, 1967; it entered the UK singles charts on March 23: Roberts 2005, p. 232: peak UK chart position for "Purple Haze". ^ McDermott 2009, pp. 40–41. ^ a b McDermott 2009, p. 41. ^ McDermott 2009, p. 42. ^ Egan 2013, pp. 159–160. ^ a b c McDermott 2009, p. 43. ^ a b c McDermott 2009, p. 44. ^ a b McDermott 2009, p. 45. ^ McDermott 2009, pp. 44–45. ^ McDermott 1992, p. 57. ^ a b c McDermott 2009, p. 46. ^ a b c Egan 2013, pp. 172–173. ^ a b Egan 2013, p. 173. ^ McDermott 2009, p. 50. ^ a b Egan 2013, p. 174. ^ Roberts 2005, p. 232: UK chart data for Are You Experienced; Egan 2013, p. 174: Are You Experienced" entered the UK charts on May 27, 1967. ^ a b Egan 2013, p. 175. ^ Cross 2005, p. 181: Are You experienced was prevented from reaching number one in the UK by the Beatles' Sgt. Pepper; Unterberger 2009, p. 144: Are You Experienced was released in the UK without the band's first three singles. ^ Shadwick 2003, p. 109. ^ Cross 2005, p. 184; "an absolute ace on the guitar"; Shadwick 2003, pp. 110–115: McCartney insisted that the festival would be incomplete without Hendrix. ^ Cross 2005, p. 184; Moskowitz 2010, p. 22; Shadwick 2003, pp. 110–115. ^ Egan 2013, pp. 179–180. ^ Egan 2013, pp. 180–181. ^ McDermott 2009, p. 61: Release dates for Are You Experienced; George-Warren 2001, p. 429: Peak US chart position. ^ George-Warren 2001, p. 429: Peak US chart position for Are You Experienced; McDermott 2009, p. 61: Are You Experienced remained on Billboard's album chart for 106 weeks, including 27 in the Top 40. ^ a b Aledort 1996, p. 49. ^ a b Unterberger 2009, p. 184. ^ Doggett 2004, p. 8: "wide variety of styles"; Egan 2013, p. 184: "each track has a different personality to it"; Larkin 1998, p. 45: "Are You Experienced contains a wide range of material"; Shapiro & Glebbeek 1995, p. 169: "the music ranges across all the genres of popular music, from R&B to free jazz". ^ Newsweek 1996, p. 13. ^ Walser, Robert (2013). Running with the Devil: Power, Gender, and Madness in Heavy Metal Music. Wesleyan University Press. p. 173. ^ Doggett 2004, p. 8: "wide variety of styles"; Egan 2013, p. 202: "'Remember' ... is an R&B number"; Larkin 1998, p. 45: a diversity of styles; Roby 2002, p. 72: "'Remember' is an R&B tune"; Shapiro & Glebbeek 1995, p. 169: "the music ranges across all the genres of popular music, from R&B to free jazz"; Stubbs 2003, pp. 31–32, 36–37 "Red House" and "Remember". ^ Egan 2013, p. 204: impressionistic; Egan 2013, p. 160: "Are You Experienced" is a "psychedelic extravaganza"; Egan 2013, p. 186: "Are You Experienced" pre-dates scratching by 10 years; Heatley 2009, pp. 64–65: backwards guitar and drums. ^ a b Unterberger 2009, pp. 182–183. ^ Heatley 2009, p. 64: guitar feedback in "I Don't Live Today"; Unterberger 2009, pp. 182–183: the tribal rhythms of "I Don't Live Today". ^ Egan 2013, p. 199: "May This Be Love" and "The Wind Cries Mary" demonstrated Hendrix's ability to write thoughtful lyrics and subtle melodies; Egan 2013, p. 184: "you can hear funk and soul in 'Fire'"; Heatley 2009, p. 64: "Fire". ^ Shadwick 2003, pp. 90–91. ^ Egan 2013, p. 195: Hendrix's double tracked vocals; Shapiro & Glebbeek 1995, pp. 173–174: a one-note bend in the style of Hank Marvin. ^ Whitaker 2011, p. 380: "Hey Joe" is a folk song; Whitehill 1989, p. 20: "Hey Joe" is the only cover on Are You Experienced. ^ Egan 2013, p. 108. ^ Egan 2013, pp. 108–109. ^ a b Whitehill 1989, p. 86. ^ a b Shadwick 2003, p. 93. ^ Doggett 2004, p. 12; Stubbs 2003, p. 29. ^ Levy 2005, p. 34: "about a dream I had that I was walking under the sea"; Moskowitz 2010: often misinterpreted as describing drug use. ^ a b Roby 2002, p. 67. ^ Egan 2013, p. 119: "Purple Haze" was written after a gig in London on December 26, 1966; Stubbs 2003, p. 24: Hendrix had not yet taken LSD. ^ Shapiro & Glebbeek 1995, p. 148. ^ Shadwick 2003, p. 96. ^ a b Whitehill 1989, p. 6. ^ Unterberger 2009, p. 145. ^ Shapiro & Glebbeek 1995, p. 169: Wenner 2010, p. 29: the beginning of late-60s psychedelia. ^ Altham 1996, p. 4: visiting space alien (secondary source); Shadwick 2003, p. 112: visiting space alien (primary source); Unterberger 2009, p. 45: experimental science fiction. ^ Shadwick 2003, p. 98; Whitehill 1989, p. 76: free-form improvisation. ^ Whitehill 1989, p. 76. ^ Hendrix & McDermott 2007, p. 25. ^ Shadwick 2003, p. 104. ^ McDermott 2009, p. 41; Shadwick 2003, p. 104; Shapiro & Glebbeek 1995, p. 170. ^ Aledort 1996, p. 14. ^ Shadwick 2003, p. 97: "The Wind Cries Mary" is the first ballad recorded by Hendrix; Stubbs 2003, pp. 27–28: Hendrix wrote "The Wind Cries Mary" about Kathy Etchingham. ^ Black 1999, pp. 71–72. ^ Shadwick 2003, p. 97. ^ Moskowitz 2010, pp. 10–11. ^ Egan 2013, p. 110. ^ a b Egan 2013, p. 169. ^ Egan 2013, p. 170. ^ a b Egan 2013, pp. 169, 171. ^ Egan 2013, pp. 170–171. ^ Egan 2013, p. 171. ^ a b c Egan 2013, pp. 175–176. ^ a b c d Egan 2013, p. 176. ^ Egan 2013, pp. 176–177. ^ a b Egan 2013, p. 177. ^ a b Unterberger, Richie. "Are You Experienced? – Jimi Hendrix". ^ "Review: Are You Experienced". ^ Murphy, Sean (March 11, 2010). "God Is Not Dead: The Jimi Hendrix Re-Issues". ^ Murray 1989, pp. 49–50. ^ Egan 2013, p. 184. ^ Shapiro & Glebbeek 1995, p. 169. ^ a b Egan 2013, p. 183. ^ Smith, Chris (2009). One Hundred and One Albums that Changed Popular Music. Oxford University Press. p. 51. ^ Whitehill 1989, p. 5. ^ Egan 2013, p. 189. ^ Anon. 1992, p. 5E. ^ Christgau 1998, pp. 96–97. ^ Barnes, Anthony (July 21, 2003). "'"Hendrix heads list of 100 guitar greats with 'Are You Experienced. The Independent (London). Retrieved February 20, 2010. ^ George-Warren 2001, p. 429: Are You Experienced certified double-platinum; Levy 2005, p. 34: Hendrix's "epochal debut". ^ "The 100 Best Debut Albums of All Time: number 3". ^ Wenner 2010, p. 120. ^ Fineberg, Gail. "National Recording Registry Grows (May 2006) – Library of Congress Information Bulletin". ^ a b Doggett 2004, pp. 6–11. ^ Hendrix earned his first composer credits for two instrumentals, "Hornet's Nest" and "Knock Yourself Out", released as a Curtis Knight and the Squires single in 1966. The original UK version of Are You Experienced was composed entirely of Hendrix originals. ^ During this break from recording, the Experience played eight shows in Germany and three in England. ^ It is unclear if the four rhythm tracks recorded at CBS were completed on December 13. Ross recalled that two were completed on the 13th and two more on the 15th, but Redding wrote in his diary that Mitchell was not present on the 15th, and he also left some doubt as to whether or not the Experience recorded or rehearsed on December 15. ^ Levy refused to release the recordings until Chandler had paid CBS in full. ^ Before traveling to the UK, Hendrix had worked with eight-track recorders in the US. According to Kramer, he wanted to hear the basic rhythm parts across all four tracks, which inspired Kramer to experiment with reduction mixing. ^ Hendrix had experimented with the possibilities of backwards instruments on his reel-to-reel tape machine, mastering the technique after hours of private application. ^ Track released Are You Experienced two weeks ahead of schedule when its distributor, Polydor, erred by shipping 2,000 copies to London music stores. ^ When Are You Experienced was released in the UK on May 12, 1967, the soundtrack to The Sound of Music occupied the number one spot. ^ In honor of his Cherokee heritage, Hendrix dedicated the song to the American Indians and other minority groups. ^ The magazine was Fantasy and Science Fiction, and the story was a condensed form of a 1957 novel by Philip José Farmer, titled Night of Light: Day of Dreams. ^ According to authors Harry Shapiro and Caesar Glebbeek, the earliest that Hendrix is known to have ingested LSD was in June 1967, while at the Monterey Pop Festival. ^ The back of the sleeve featured a monochrome image of the Experience. The Breakaways — backing vocals on "Hey Joe"
Dave Siddle — engineering on "Manic Depression," "Can You See Me," "Love or Confusion," "I Don't Live Today," "Fire," "Remember," "Hey Joe," "Stone Free," "Purple Haze," "51st Anniversary," and "The Wind Cries Mary"
Eddie Kramer — engineering on "The Wind Cries Mary," "Are You Experienced?," and "Red House"; additional engineering on "Love or Confusion," "Fire," "Third Stone from the Sun," and "Highway Chile"
Mike Ross — engineering on "Foxy Lady," "Red House," and "Third Stone from the Sun"
Noel Redding — bass; backing vocals on "Foxy Lady," "Fire," and "Purple Haze"
Mitch Mitchell — drums; backing vocals on "I Don't Live Today" and "Stone Free"
All songs written and composed by Jimi Hendrix except where noted. All songs written and composed by Jimi Hendrix. Since the first release of Are You Experienced in 1967, there have been six distinct versions of the track listing. As of 1997, compact disc editions in the US and UK feature 17 tracks, including all songs that appeared on either the original UK/international edition of the album, or the original North American edition, or the Experience's first three singles (Stone Free, 51st Anniversary, and Highway Chile). Mojo magazine listed Are You Experienced as the greatest guitar album of all time. Rolling Stone called the double-platinum LP Hendrix's "epochal debut", and they ranked it number fifteen on their list of the 500 Greatest Albums of All Time, noting his "exploitation of amp howl", and characterizing his guitar playing as "incendiary ... historic in itself". They ranked it as the number three debut album of all time, crediting it as the LP "that established the transcendent promise of psychedelia", stating: "Every idea we have of the guitarist as groundbreaking individual artist comes from this record." They placed four songs from the album on their list of the 500 Greatest Songs of All Time: "Purple Haze" (17), "Foxy Lady" (153), "Hey Joe" (201), and "The Wind Cries Mary" (379). In 2005, Are You Experienced was one of 50 recordings chosen by the Library of Congress to be added to the National Recording Registry, which selects recordings annually that are "culturally, historically, or aesthetically significant". Journalist Ritchie Unterberger described Are You Experienced as "one of the definitive albums of the psychedelic era." In the opinion of author Chris Smith, the release was "a landmark in a summer of landmark albums". Noe Goldwasser, the founding editor of Guitar World magazine, called it "a veritable textbook of what a musician can do with his instrument" and "the measure by which everything ... in rock and roll has been compared since." According to music journalist Charles Shaar Murray, the album "completely changed notions of what a guitar could sound like, or indeed, what music could sound like", while The Miami Herald credited Are You Experienced with introducing acid rock, classic rock, and the guitar aesthetic of heavy metal. Critic Robert Christgau called it a "bombshell debut" in his review for Blender and said its songs were innovative for how they utilized three-minute pop structures as a medium for Hendrix's unprecedentedly heavy and turbulent guitar and loud, powerful hooks, which greatly appealed to young listeners. Music critics widely regard Are You Experienced as one of the greatest debut albums in the history of rock and roll. An immediate commercial success, within seven months of its release it had sold more than one million copies. Melody Maker praised the work's artistic integrity and the Experience's varied use of tempo. NME‍‍ '​‍s Keith Altham said it is "a brave effort by Hendrix to produce a musical form which is original and exciting". However, not all contemporary writers gave the LP a favorable review; in November 1967, Rolling Stone‍‍ '​‍s Jon Landau wrote that although he considered Hendrix a "great guitarist and a brilliant arranger", he disapproved of his singing and songwriting. He criticized the quality of the material and described the lyrics as inane: "Above all this record is unrelentingly violent, and lyrically, inartistically violent at that." 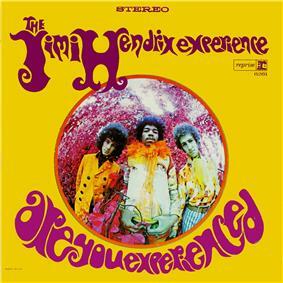 Chris Stamp designed the cover of the UK version of Are You Experienced, which featured a picture of Hendrix, Mitchell, and Redding by Bruce Fleming. The image shows Hendrix wearing a long dark cape while standing over Mitchell and Redding, striking what Egan described as a "Dracula-esque pose". Chandler contacted Fleming based on the photographer's previous work with the Hollies, the Dave Clark Five, and the Animals. The photo shoot took place in February after Fleming had attended several recording sessions and Experience gigs. Chandler made a point of requesting that the band member's faces be clearly visible in the photograph; Fleming explained: "[Album covers] got much more esoteric as time went on, but to establish the artist we had to get their faces across so the kids would recognize them." He took monochrome and color shots of the band; Track selected an image from the latter group. Fleming had indicated which picture he preferred they use, marking the shot with a cross, but after the album's release he realized that they had selected another, less desirable image. According to Fleming, the shot that he chose was "more sinister; more interesting". Stamp hired graphic artist Alan Aldridge to design the sleeve's psychedelic lettering. Track inexplicably put only the album's title on the cover, omitting the band's name; Polydor issued the release throughout Europe with Hendrix's name printed at the top in matching font. The cover art's combination of dull green and brown tones, juxtaposed with the jocular nature of the subject's pose, created a weak overall visual impression; Stamp commented: "It's not a great cover at all. Hopefully, we made up for that in all the other covers." "The Wind Cries Mary" is the first ballad recorded by the Experience; Hendrix wrote the lyrics after an argument with his girlfriend, Kathy Etchingham, whose middle name is Mary. She explained: "I smashed plates on the floor, [and] he swept them up. He locked me in the bathroom for absolutely ages and ... eventually Chas's girlfriend Lotta let me out ... I ran out to get a taxi and was standing under the traffic lights, and I had red hair and a red dress. I went back after I'd cooled down and he'd already written it." The song featured a chord progression inspired by Curtis Mayfield and lyrics that reflected Hendrix's admiration of Bob Dylan. "Stone Free" expressed Hendrix's desire to preserve his personal freedom, demurring the concepts of conformity and long-term relationships. He revisited this theme in "51st Anniversary" and "Highway Chile". Omitted from the American version of the album, "Red House" would not see an official release in US until the 1969 compilation, Smash Hits. An unusual feature of the recording is that it does not include a bass guitar track; Redding instead played rhythm guitar with his equalization set strongly in favor of bass tones. It is Hendrix's only original twelve-bar blues. Hendrix described "Manic Depression" as "ugly times music"; during a live performance he explained the meaning of the lyrics: "It's a story about a cat wishing he could make love to music instead of the same old everyday woman." The song is unusual in that its written in triple meter, or 3/4 time, which is the time signature commonly associated with a waltz, whereas most rock music is written in 4/4. Although his delivery is rock oriented, Mitchell's drumming on the track is reminiscent of Elvin Jones's fluid jazz patterns. Musicologist Andy Aledort noted Hendrix's "dramatic use of chromaticism" during the song's opening bars and the "heavily vibratoed unison bends" that presage what he described as one of Hendrix's best guitar solos. In 1967, Hendrix told the journalist Keith Altham that "Third Stone from the Sun" is about a visiting space alien who, upon evaluation of the human species, decides that people are not fit to rule Earth, destroys their civilization, and places the planet in the care of chickens. The song is composed of two contrasting sections, one that features a jazzy guitar melody played in the style of Wes Montgomery over a straightforward rock tempo, and another that showcases Hendrix's free-form mixolydian mode guitar lines with a jazz beat. The track contains no proper vocals, instead using spoken words played at half-speed to invoke images of interstellar space travel. In addition to jazz elements, Unterberger identified Hendrix's use of surf music motifs in the track that are reminiscent of earlier works by the Ventures, a group from the Pacific Northwest that Hendrix would have heard during his childhood. Although the lyrics to "Purple Haze", which opened the US edition of Are You Experienced, are often misinterpreted as describing an acid trip, Hendrix explained: "[It] was all about a dream I had that I was walking under the sea." He speculated that the dream may have been inspired by a science fiction story about a purple death ray. [nb 11] Redding stated that Hendrix had not yet taken LSD at the time of the song's writing, which was after a gig in London on December 26, 1966. [nb 12] The first draft of the lyrics was exceedingly long, so Chandler and Hendrix reduced its length to something appropriate for mainstream pop music. It opens with a guitar/bass harmony in the interval of a tritone that was known as the diabolus in musica during the time of the Spanish Inquisition. The Catholic Church prohibited medieval composers of religious music from using the tritone, or flattened fifth, because as musicologist Dave Whitehill wrote: "to play it was like ringing Satan's doorbell." In the opinion of the author Ritchie Unterberger, the opening riff has "become a permanent part of rock's vocabulary." Whereas Rolling Stone described the song as the beginning of late-60s psychedelia, the authors Harry Shapiro and Caesar Glebbeek identified Hendrix's use of R&B, funk, and soul elements in the track. The UK edition of Are You Experienced opened with "Foxy Lady", a track that, with the exception of a few overdubs, was recorded in one session at CBS. Hendrix wrote the song about Heather Taylor, a highly desirable London socialite who later married the Who's Roger Daltrey. It begins with the fade-in of an F note that Hendrix is bending-up to F♯ while applying generous finger vibrato. Using his guitar's control knob, he slowly increases volume until an audio feedback loop develops and he slides into the song's dominant F♯m7 chord. Hendrix used a combination of natural amplifier overdrive and fuzz box effects units to create the song's razor-sharp guitar tone. Its blues–inspired solo—his fourth since arriving in England—used pentatonic scales while showcasing his innovative approach to melody; by exploiting the increased sustain created by overdriving his amplifiers, he moved seamlessly between the middle and high registers with a fluid, singing tone. While author Peter Doggett compared its slow beat to Memphis soul, David Stubbs described the track as a prototype for heavy metal bands such as Black Sabbath. Included on the UK edition of Are You Experienced were two tracks that represented the music Hendrix had played in the US before the formation of the Experience: the blues track "Red House" and the rhythm and blues song "Remember". The album's psychedelic title track, which author Sean Egan described as impressionistic, featured the post-modern soundscapes of backwards guitar and drums that pre-date scratching by 10 years. Musicologist Ritchie Unterberger considers the lyrics to "I Don't Live Today" to be more at home in a gothic rock setting than in psychedelia, however; he describes the music as being "played and sung with an ebullience that belies the darkness of the lyrics." The song's tribal rhythms served as a platform for Hendrix's innovative guitar feedback improvisations. [nb 10] Whereas "Fire" is a funk and soul hybrid driven by Mitchell's drumming, "May This Be Love" and "The Wind Cries Mary" are soft ballads that demonstrate Hendrix's ability to write thoughtful lyrics and subtle melodies. The influence of raga rock can be heard in his sitar-like guitar solo on "Love or Confusion". "Can You See Me" is an uptempo rocker that features Hendrix's double tracked vocals and his use of a one-note bend in the style of Hank Marvin. Although "Hey Joe" is a folk song, and the only cover on the album, it would become one of Hendrix's most requested tracks. According to Hendrix biographer Harry Shapiro, the music on Are You Experienced incorporates a variety of music genres from rhythm and blues to free jazz; author Peter Doggett noted its "wide variety of styles", while journalist Chris Welch said "each track has a different personality". Musicologist Gilbert Chase asserted that the album "marked a high peak in hard rock", and music critic Jim DeRogatis characterized the LP and its preceding singles as "raw, focused psychedelic rock". A contemporary review published in Newsweek in October 1967 identified the influence of soul music on the Experience and the album. In 1989, Hit Parader magazine ranked it number 35 in a list of the top 100 heavy metal albums. In 2006, writer and archivist Rueben Jackson of the Smithsonian Institution wrote: "it's still a landmark recording because it is of the rock, R&B, blues ... musical tradition. It altered the syntax of the music ... in a way I compare to, say, James Joyce's Ulysses." "Much of what Jimi did with the guitar translated the R&B-blues-soul sensibility to the psychedelic age." After the show-stealing performance, Reprise Records agreed to distribute Are You Experienced. However, despite the increased awareness that the Experience's performance at Monterey provided, the second Experience single, "Purple Haze"/"The Wind Cries Mary", released in the US on August 16, 1967, stalled at number 65 on the Billboard Hot 100. Although the single performed poorly in the US charts, its presence on underground FM radio stations, which were transitioning from easy listening and classical music formats to album cuts, significantly aiding sales of the LP. Reprise allocated a $20,000 promotional budget for the LP, which was an unprecedented amount for an unproven artist. Released in the US on August 23 by Reprise, Are You Experienced reached number five on the Billboard 200. The album remained on Billboard‍ '​s album chart for 106 weeks, 27 of those in the Top 40. 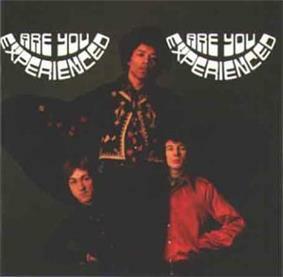 The North American edition of Are You Experienced featured a new cover by Karl Ferris and a new track list, with Reprise omitting "Red House", "Remember", and "Can You See Me", and including the first three A-sides omitted from the UK release: "Hey Joe", "Purple Haze", and "The Wind Cries Mary". , Hendrix burned and smashed his guitar on stage for dramatic effect.Monterey Pop for the documentary D. A. Pennebaker During the climax of the festival, which was filmed by  During that month, the band took another long break from recording while they played gigs in Belgium, Germany, and England, including appearances on the UK television show  It entered the UK singles chart on the 23rd, peaking at number three. The second Experience single, "Purple Haze"/"51st Anniversary", was released on March 1. The Experience took a week break from recording while playing gigs in England, and returned to De Lane Lea on March 1, 1967, to attempt a studio recording of Bob Dylan's "Like a Rolling Stone". Although the song had long been a staple of the group's live show, they failed to achieve an acceptable basic track, owing mostly to Mitchell's inability to keep consistent time during the session. On February 20, 1967, the Experience continued working on Are You Experienced, but scheduling conflicts at Olympic led Chandler to book time at De Lane Lea. During the session they recorded "I Don't Live Today", which featured a manual wah effect that predated the pedal unit. They managed to complete a working master by the end of the day, though Hendrix eventually recorded a new lead vocal at Olympic. Hendrix was not as confident a singer as he was a guitarist, and because he strongly disliked anyone watching him sing he asked the engineers at Olympic to construct a privacy barrier between him and the control room. This created problems when the studio lights were low, and the engineers were unable to see him, making his visual cues and prompts difficult to communicate. As was the case at De Lane Lea, Hendrix's penchant for using multiple amplifiers at extreme volume drew criticism and complaints from the people living and working near to the studio. Olympic tape operator George Chkiantz recalled: "Sometimes, it got so loud we'd turn the [control booth] monitors off and there was really very little difference." Chkiantz noted that reactions to Hendrix's music were not always positive: "I seem to recall a lot of musicians, a lot of people, saying, 'I can't see what all the fuss is about myself', or 'I don't know how you listen to all that noise; I'd be scared to work with him' ... Chas was convinced that he was on to something. Not everyone was convinced that Chas was right." Another issue that complicated the sessions were the large number of female fans who would show up at the studio wanting to watch the Experience record. As a habit, Hendrix would indiscriminately tell people where we would be on any given day, which led to large groups of fans following him everywhere. Olympic employees were tasked with keeping them under control and at a safe distance so as to not unduly burden the recording process. Chkiantz commented: "It was extraordinary. I worked with the Stones. I worked with the Beatles. I worked with Led Zeppelin. I was not as jumpy; it was not as difficult as with Hendrix. It was something of an open house. Hendrix was not difficult at all, but I personally would have preferred not to have loads of girls lurking in the woodwork." During the February 3, 1967, session at Olympic, the Experience improved the January 11 master tape of "Purple Haze" by re-recording the vocal and lead guitar parts, and adding another Octavia guitar overdub, which was sped-up and panned at the end of the song. The group reconvened at Olympic on February 7, continuing their work on "Purple Haze" by recording Hendrix's rhythm guitar and vocal parts, as well as Redding's background vocals. They spent time overdubbing ambient background sounds by playing tapes through a set of headphones that were held near a microphone, creating an echo effect as the headphones were moved closer; they completed a final mix of "Purple Haze" the following day. During the session, they worked on the De Lane Lea master tape of "Fire", replacing everything except Redding's bass line, which he double-tracked in an effort to accentuate the recording's lower frequencies. Kramer placed the second bass line on a dedicated track and blended Redding's original bass line with Mitchell's newly recorded drum part. They also recorded Mitchell and Redding's backing vocals. "Foxy Lady" was also reworked on February 8; Redding recorded a new bass line and Hendrix and Mitchell added overdubs to their existing parts. After recording backing vocals by Redding and lead vocals from Hendrix, Kramer prepared the song's final mix. With his budget concerns alleviated, Chandler booked time at Olympic, where on February 3, 1967, he and the Experience met sound engineer Eddie Kramer. During Kramer's first session with the group, he deviated from the standard recording method that they had been using at CBS and De Lane Lea, which was to record bass and drums in mono on two tracks. He instead recorded Mitchell's drums on two tracks in stereo, leaving the remaining two tracks available for Redding's bass and rhythm guitar parts played by Hendrix. Kramer's unorthodox approach, which was inspired by Hendrix's complaints regarding the limitations of four-track recordings, captured the live sound of the band using all four available tracks. [nb 6] Kramer and Chandler then pre-mixed and reduced the first four tracks down to two, making two more tracks available for lead guitar overdubs and vocals. This method satisfied both Hendrix's perfectionism and Chandler's desire to reduce the number of takes required for a satisfactory rhythm track, thus minimizing their expenses. Another change instigated by Kramer was the use of a mixture of close and distant microphone placements when recording Hendrix's guitar parts whereas, during previous sessions, the microphones had been placed about twelve feet away from Hendrix's amplifiers. In addition to the usual choices, Kramer used Beyer M1 60 ribbon microphones, which were typically not used to record loud music. "I would fill the four basic tracks with stereo drums on two of the channels, the bass on the third, and Jimi's rhythm guitar on the fourth. From there, Chandler and I would mix this down to two tracks on another four-track recorder, giving us two more tracks to put on whatever we wanted, which usually included Jimi's lead guitar and vocals as well as backing vocals and some additional percussion." Between January 12 and February 2, 1967, the Experience took a break from recording while they played 20 dates in England, including a second appearance on Top of the Pops, on January 18. Chandler was dissatisfied with the sound quality of the January 11 recordings and frustrated by the large number of noise complaints that they had received from people living and working near De Lane Lea. He explained: "There was a bank above the studio ... and it was at the time when computers were just coming in ... we would play so loud that it would foul up the computers upstairs." Brian Jones and Bill Wyman of the Rolling Stones encouraged Chandler to try Olympic Studios, which was considered the top independent London studio. Despite the growing chart success of their first single, Chandler's money problems persisted. Olympic required advance payment for studio time, but Polydor had not yet released any funds to Track for disbursement. When Chandler went to Polydor asking for relief they responded by guaranteeing him a line of credit at Olympic. On January 11, 1967, the Experience worked on their second A-side, "The Wind Cries Mary", a song that marked their first use of overdubbing in lieu of retakes as a method of achieving a satisfactory track. Chandler explained: "There were five guitar overdubs all linking in together to sound like one guitar." The song, which Redding and Mitchell had not yet heard before that day, was completed during the session. Chandler had decided that they should discard the rough version of "Third Stone from the Sun" from December 13 and re-record the song; they completed a basic track for the piece, but were unable to achieve a finished master. The group managed to produce an acceptable live recording of the basic track for "Fire" after seven takes. Next, they attempted Hendrix's newly written ballad, "The Wind Cries Mary", which Redding and Mitchell had not yet heard. Without the benefit of rehearsals, the band recorded the song in one take, to which Hendrix added several guitar overdubs; Chandler estimated that they spent approximately 20 minutes on the completed rhythm track. According to Chandler, by this time Redding and Mitchell had begun to complain about their limited input. Chandler explained that financial considerations influenced the creative dynamic: "[They] were sort of fighting the fact that they had no say during recording sessions ... they were starting to come up with suggestions, but ... We didn't need to be arguing with Noel for ten minutes and Mitch for five ... We just couldn't afford the time." After a three-week break from recording while they played gigs in England, including a December 29 appearance on Top of the Pops, the Experience reconvened at De Lane Lea on January 11, 1967. As "Hey Joe" was gaining chart momentum in the UK, they began working on their second single, which featured Hendrix's second songwriting effort, "Purple Haze", as its A-side. The track presented a more complex arrangement than the band's previous recordings, and required four hours of studio time to complete, which Chandler considered extravagant. The session was the first time that he and the group had experimented with guitar effects. Acoustic engineer Roger Mayer introduced Hendrix to the Octavia, an octave-doubling effect pedal, in December 1966, and he first recorded with the effect during the guitar solo of "Purple Haze". When Track Records sent the master tapes for "Purple Haze" to Reprise for remastering, they wrote on the tape box: "Deliberate distortion. Do not correct." The first Experience single, with "Hey Joe" as the A-side and "Stone Free" as the B-side, was released in the UK on December 16, 1966. Track Records was not yet operational, so their distributor, Polydor Records, issued the single with their logo. It reached number six on the UK chart in early 1967. On December 21, 1966, Chandler and the Experience returned to De Lane Lea with Dave Siddle as engineer. They recorded two alternate versions of "Red House" and began work on "Remember"; both tracks were significantly re-worked in April 1967 at Olympic Studios. Chandler had been dissatisfied with the sound quality at De Lane Lea, so he took the advice of Kit Lambert and booked time at CBS Studios. On December 13, 1966, after taking a five-week break from recording while they performed in Europe, the Experience reconvened at CBS. [nb 2] Assisted by engineer Mike Ross, the band were especially productive during the session, recording instrumentation and vocals for "Foxy Lady" and basic instrumental tracks for "Love or Confusion", "Can You See Me", and "Third Stone from the Sun". Ross recalled the impact of Hendrix's Marshall stacks: "It was so loud you couldn't stand in the studio ... I'd never heard anything like it in my life." When Ross asked Hendrix where he would like the microphone placed Hendrix replied: "Oh, man, just put a mic about twelve feet away on the other side of the studio. It'll sound great." Ross agreed, and with a Neumann U87 tube mic he recorded Hendrix's guitar playing in a large room that, according to Ross, "was absolutely vital to the uniquely powerful Experience sound." Ross noted that input from Mitchell and Redding was minimized, and he asserted that Chandler was clearly "the one in charge" of the sessions. The band played together live at CBS; the lead and backup vocals were overdubbed. Despite his dwindling finances, Chandler encouraged the Experience to record numerous takes of a song, affording them the luxury of repeated attempts at a satisfactory recording. With a live instrument track as the foundation of the recordings, they eschewed the common practice of piecing together parts of several takes to make one continuous piece. After the December 13 recording session, the band made their television debut, on Britain's Ready Steady Go! Chandler and the Experience found time to record between performances in Europe. They began on October 23, recording "Hey Joe" at De Lane Lea Studios, with Chandler as producer and Dave Siddle as engineer. The song featured backing vocals by the Breakaways. Soon after the session began, Chandler asked Hendrix to turn his guitar amplifier down, and an argument ensued. Chandler commented: "Jimi threw a tantrum because I wouldn't let him play guitar loud enough ... He was playing a Marshall twin stack, and it was so loud in the studio that we were picking up various rattles and noises." According to Chandler, Hendrix then threatened to leave England, stating: "If I can't play as loud as I want, I might as well go back to New York." Chandler, who had Hendrix's immigration papers and passport in his back pocket, laid the documents on the mixing console and told Hendrix to "piss off". Hendrix laughed and said: "All right, you called my bluff", and they got back to work. Redding wrote in his diary that they completed two songs during the October 23 session, but the second one has never been positively identified. Author Sean Egan speculated that it might have been Howlin' Wolf's "Killing Floor" or Wilson Pickett's "Land of a Thousand Dances". Chandler decided that they should use an Experience original for the B-side of the single, so he encouraged Hendrix to start writing; he composed his first Experience song, "Stone Free", the following day. [nb 1] Chandler, in an effort to minimize studio expenses, purchased rehearsal time at the Aberbach House in London. He abandoned this practice after realizing how quickly the group could learn songs while warming-up in the studio. On November 2, 1966, the Experience returned to De Lane Lea to continue work on their first single. During the session, they recorded "Stone Free" and a demo version of "Can You See Me". This marked the first time that the Experience recorded a song that was eventually included on the original UK release of the album. Chandler's budget was limited, so in an effort to reduce expenditures he and Hendrix completed much of the album's pre-production work at their shared apartment. From the start, Chandler intentionally minimized the creative input of Mitchell and Redding. He later explained: "I wasn't concerned that Mitch or Noel might feel that they weren't having enough—or any—say ... I had been touring and recording in a band for years, and I'd seen everything end as a compromise. Nobody ended up doing what they really wanted to do. I was not going to let that happen with Jimi." When the Experience began studio rehearsals, Hendrix already had the chord sequences and tempos worked-out for Mitchell, and Chandler would direct Redding's bass parts. Are You Experienced and its preceding singles were recorded over a five-month period from late October 1966 through early April 1967. The album was completed in sixteen recording sessions at three London locations, including De Lane Lea Studios, CBS, and Olympic. Chandler booked many of the sessions at Olympic because the facility was acoustically superior and equipped with most of the latest technology, though it was still using four-track recorders, whereas American studios were using eight-track.